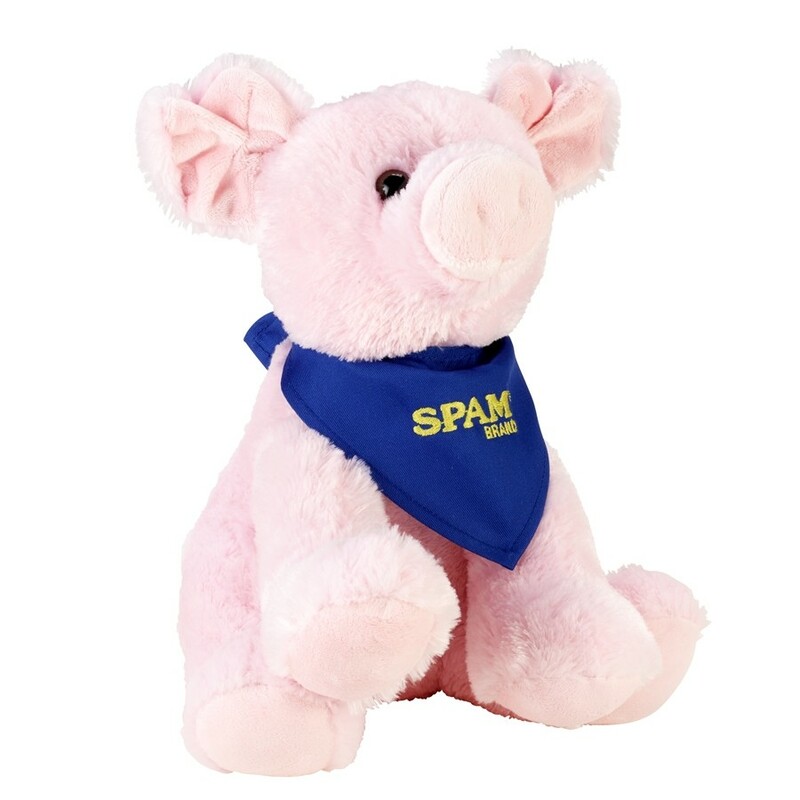 This pink plush pig sits on his own and wears a blue scarf with SPAM® Brand imprint on front. Measures 14" in length. Recommended for ages 3 years and older.